An artist shares his love of trees with his brilliant paintings and thoughtful words. 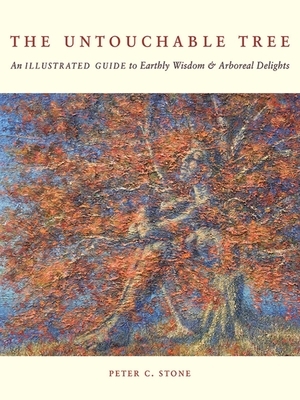 According to Peter Stone, "any book about trees can't help but be a book about people," and so his book is about our connection to the magnificence, the transcendence, and the essential nature of trees. Throughout human history, they have served as shelter and as symbol. And today, more than ever, our destiny is tied to theirs. The Untouchable Tree is a unique exploration of our relationship with these amazing plants. It covers everything from our exploitation of trees for material gain to our unique love of woodlands, parks, and forests. Peter C. Stone is an artist in the best sense of the word. His paintings and his words remind us of why we love trees and forestsand why they are important. 30 color illustrations. Peter C. Stone's contemporary tonalist landscape paintings have been described as "luminous spiritual journeys" that celebrate nature and native lands, from New England to the Antarctic. He lives in Marion, Massachusetts.